I wish I was one of those people who could whip up a fancy cocktail on demand – you know, the kind who possesses every bartending gadget ever made and keeps infused bourbons on hand. But as I’m more the “I know there’s a clean glass around here someplace” type, I rarely make cocktails at home, leaving those to the professionals. So I was thrilled to come across this cocktail recipe recently. The Stone Fence is seasonal and refreshing and could not be much easier to make. If you can stir, you can enjoy one in about 30 seconds. According to my exhaustive three minutes of research on Google, the Stone Fence dates to Colonial days. 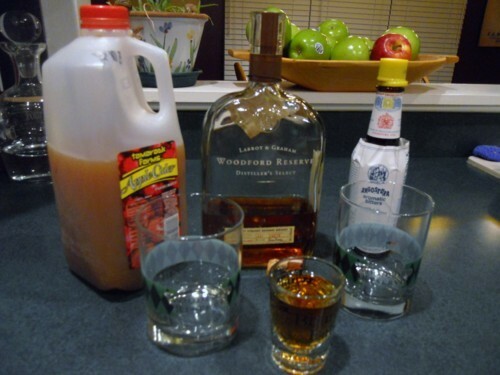 It’s sometimes made with rum or with hard cider, but I think the version below is perfect. 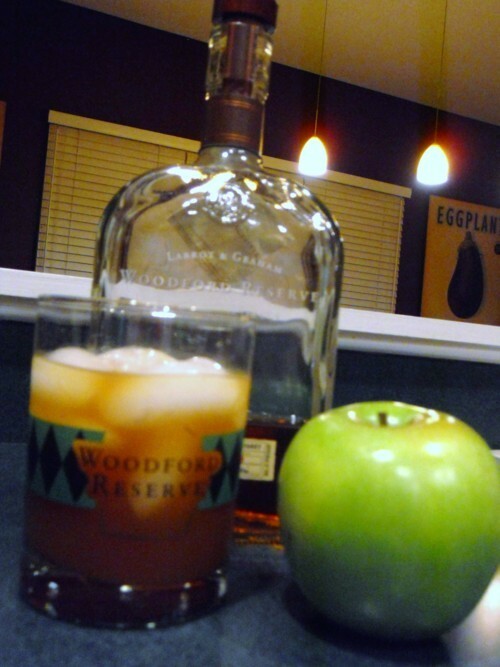 The bourbon and cider blend wonderfully, and the bitters keep the drink from being too sweet. Enjoy one before your Thanksgiving dinner, and give thanks for simple pleasures. 1) In an Old Fashioned glass, add the bourbon and bitters and fill with ice. 2) Top with the apple cider, stir once with a spoon to incorporate the ingredients and serve.